And the Lions won’t be at full strength when they face the Los Angeles Rams this weekend. 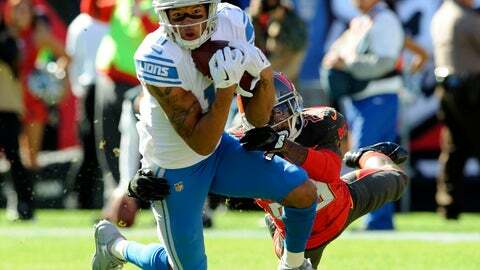 Detroit put wide receiver Marvin Jones on injured reserve Monday after he missed the past two games with a knee injury. Jones’ absence leaves the Detroit receiving corps down another player. The Lions traded Golden Tate earlier this season. Jones has 35 catches for 508 yards and five touchdowns this season. Second-year receiver Kenny Golladay has been impressive and figures to be the team’s most dangerous target the rest of the season. The Lions (4-7) signed linebacker Nicholas Grigsby to the active roster from the practice squad and signed defensive end Eric Lee to the practice squad. After spending years trying to build a dynamic offense around quarterback Matthew Stafford, Detroit is suddenly hoping its quarterback can lead a more limited group . Not only does he not have Tate or Jones to throw to, but the Lions were also without rookie running back Kerryon Johnson (knee) in their Thanksgiving loss to Chicago . Stafford threw for only 236 yards in that game. Now Detroit will have more time to adjust to playing without Jones. The Rams (10-1) come into Sunday’s game after a weekend off. Their most recent game was a 54-51 win over Kansas City on Nov. 19. So the Lions may need to score a lot to win this game — with whoever is healthy enough to play.